17 Liberty Middle School students recently received the highest distinction in their class for solos at the 2019 Solo and Ensemble Competition, making first division ratings. Students earning first divisions were: Abbygail Colburn, Nailah Donatto, Kirsten Erskins, Dominique Harris, Trace Heifner, Alexander Hernandez, Logan Holland, Daniel Martinez, Ivan Martinez, Eileen Maynard, Lily McNutt, Alana Morgan, Dalton Prichard, Cherish Robinson, Eduardo Rojas, Julianne Shivers, and Julie Smith. Also, Nailah Donatto and Dalton Prichard received the "Outstanding Soloist" award from their judges in addition to their first division rating. 4 additional students received high ratings of an "Excellent Performance", They are: Sadie Cary, Emily Gwin, Neveah Maguire, and Morgan Westberry. These students worked incredibly hard and overcame some amazing feats through the process! Liberty Middle Schools has a long history of excellence in competition; these achievements are due to the wonderful support of: Superintendent Dr. Cody Abshier and his staff, Principal Rhonda Smith and staff, and the faithful support of our parents and community partners. The Liberty Middle and High School Choirs are under the direction of Christie Bean, and Mark Patterson. Thanks again for the support this season. 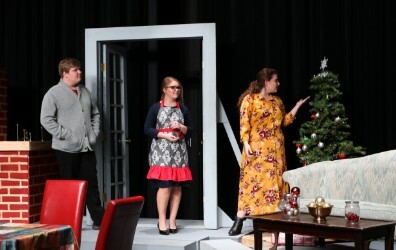 Last night the LHS Panther Players competed in the district 21-4A One Act Play contest. Freshman Jordyn Cline was named to the All-Star Technical Crew, Junior Nolan Myers to the Honorable Mention All-Star Cast and Senior Avery Bendele to the All-Star Cast. Despite a strong performance, the Panther Players did not advance. 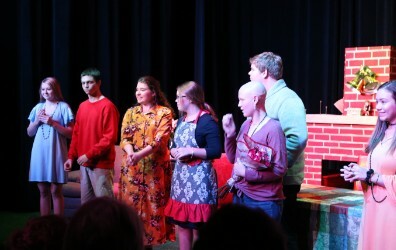 The Panther Players will turn their time to the upcoming production of Annie Jr. the Musical to be held on Saturday, May 18 at the LISD Auditorium. The show will begin at 7 pm and the tickets will be $10 at the door. Thank you to all that have supported our Theater Program this season. Go Panthers!! Last night, Anahuac came to town and left empty-handed. The boys and girls teams both recorded 8-0 victories and clinched playoff berths. The Lady Panthers opened Senior Night with a 7-0 first half outburst. Senior Jessica Hernandez started the party in the 4th minute and the ladies never looked back. Kennedy Evans grabbed a brace, while Berenice Lira and Celeste Espinoza each recorded lone goals. Junior Abby Phillips finished her hat trick in the second half. Claire Bond, Kennedy Evans, Tamia Banks, and Amy Bennett put their name in the assist column. The Panthers followed up the Ladies with their own scoring bonanza. A 5-0 halftime lead combined with three more after the break allowed the Panthers to coast into the playoffs with two district games left. Daniel Villegas, Giovanni Ruiz, Angel Ruiz, Hector Del Rio, David Gerardo, Hector Lira, Abdiel Garcia, and Edgar Reyes all found the back of the net as the Panthers spread the scoring load. The Lady Panthers host Splendora on Friday at 6 pm and the Panthers will travel to Splendora for 5 pm (JV) and 7 pm (V) matches. The Ladies are seeking to keep pace with Huffman for a share of the District 21 4-A crown while the boys are looking to improve their playoff seeding. On Tuesday evening the Lady Panthers went on the road and extended their unbeaten streak to 13 games as they defeated the Splendora Lady Wildcats 3-1. Jessica Hernandez found Abby Phillips in the 18th minute for the opening score of the game and the Lady Panthers would head to the locker room at half time leading 1-0. The Lady Cats answered the bell early in the second, scoring at the 42nd minute mark. Kennedy Evans would put the Lady Panthers ahead for good in the 62nd minute and then Amy Bennett shut the door with a 77th minute score. The Panthers hosted the Splendora Wildcats on Tuesday and managed a 3-3 draw. Fr. Ricardo Garcia found the back of the net in the 20th minute after collecting a pass from Sr. Gio Lopez. The Wildcats would score just before the half to make it 1-1 heading into the break. The second half turned into a track meet as both teams traded scores. The Wildcats would score early in the half. Gio Lopez ran onto a pass from his brother, Jaime Lopez for a 54th minute score to bring the game to 2-2. Another Splendora score would last until the 70th minute when Gio Lopez would level the game at 3-3. The Lady Panthers host the Huffman Lady Falcons Friday at 6 pm. Both sides are undefeated in district play and the winner will be in the driver's seat for the 21-4A District Championship. The Panthers travel to Splendora for 5 pm (JV) and 7 pm (V) matches. The Panthers are currently in a 4-way tie for 1st. Come out and fill up the stadium for the Lady Panthers as they continue their historic run of play!! On Friday night, the Panthers and Lady Panthers continued District 21-4A action against Anahuac. The Lady Panthers (10-1-2; 2-0) started the evening with a 10-0 outburst. Abby Phillips opened her account in the 10th minute with her first of 4 goals (10', 21', 71', 74'). Amy Bennett would contribute a brace (24', 28') as would Tamia Banks (43', 50'). Kennedy Evans (36') and Jessica Hernandez (75') would also find the back of the net in the winning effort. Kennedy Evans, Berenice Lira, Indira Samano, Abby Phillips, Serenity Barton, and Celeste Espinoza all made the assist list. GK Chasydi Lynch notched another clean sheet (8th on the season, 2nd in district) and the Lady Panthers have now pushed their unbeaten streak to 12 matches! The Panthers followed the Ladies with a 7-2 victory to improve their District record to 1-1. After being tied 2-2 at the halfway mark, the Panthers would go on a 5 goal tear in the second half. Sr. Giovanni Lopez would get a hat trick (18', 32', 75'), while Sr. Jesus Landaverde (62', 65') and Fr. Ricardo Garcia (54', 72') would each bag a brace. Soph. Jonathan Juarez (2 assists), Gio Lopez, Sr. Daniel Villegas, Jesus Landaverde and Ricardo Garcia would all find the assist column. The Panthers will be at home tomorrow Feb. 19 hosting the Splendora Wildcats for 5 pm (JV) and 7 pm (V) matches, while the Lady Panthers will travel to Splendora to face the Lady Wildcats at 6 pm. District 21-4A soccer action began on Tuesday night with the Lady Panthers continuing their historic unbeaten streak that now stands at 11 matches! The Lady Panthers hosted the Livingston Lady Lions at Memorial Stadium and prevailed 3-0 on the back of a brace (2 goals) by Soph. Kennedy Evans and a goal by Jr. Abby Phillips. Soph. GK Chasydi Lynch recorded her first district shutout and 7th on the year. The Panther boys fell to Livingston 5-1. Sr. forward Daniel Villegas scored on a header from a corner early in the second half to pull the score back to 3-1, but the Lions would score again late to put away the match. Sr. forward Giovanni Lopez assisted on the Villegas score. The JV Panthers drew the Lions 1-1. After giving up an early goal, the JV Panthers found the back of the net in the second half on a goal by Soph. Francisco Rodriguez. Juniors Eric Jimenez and David Gerardo helped shutout the Lions in the second half. The Panthers and Lady Panthers travel to Anahuac on Friday. The Lady Panthers play at 7 pm and the Panthers play at 5 pm. Good morning Panther Nation!! On Friday the Panthers traveled to Beaumont for the last non-district match of the season. The Panthers came home with a 4-1 victory over Kelly Catholic. Goals by Sr. Adrian Del Rio, Soph. Jonathan Juarez, Jr. Hector Del Rio and Soph. Francisco Rodriguez, combined with a stellar defensive effort led by Sr. Jesus Landaverde, contributed to the win. The boys and girls open District 21-4A today against Livingston. The Lady Panthers, with their 10 game unbeaten streak, will host the Lady Lions at Memorial Stadium at 6 pm. The Panthers will travel to Livingston for 5 pm (JV) and 7 pm (V) matches. Come out and support the Ladies as they seek to keep the streak alive. Last week was a very productive time for the Panther Soccer Program. The Lady Panthers traveled to Madisonville to take on the number three regionally ranked Lady Mustangs and came home with a 1-0 victory. Junior Abby Phillips provided the first half score, while Sophomore Amy Bennett was given credit for the assist. Sophomore GK Chasydi Lynch recorded her 6th shutout of the season. This marks the first time in Lady Panther history that a ranked opponent has been defeated AND it was on the road. The Lady Panthers are now on a nine-game unbeaten run, with 7 wins and 2 draws since opening the season with a loss. The Lady Panthers travel to Diboll on Tuesday for their last non-district match of the season. The Panthers wrapped up the week with a trip to Hudson to face the Hornets. The JV squad opened the evening with a dominant 2-0 victory behind a brace (2 goals) from Freshman Ricardo Garcia. Sophomore GK Jonathan Ruiz was credited with the shutout. The JV has now improved to a season-best 8-1-1 record. The varsity Panthers then concluded the night with a thrilling 1-0 win. Sophomore GK Jaime Lopez led the defensive charge for the first shutout of the season. Senior Adrian Del Rio found the net in the second half to ensure the Panther victory. The Panthers (4-8) travel to Beaumont on Friday to face the Kelly Catholic school in the final non-district match of the season, with the JV at 5 pm and the V at 7 pm. The Panthers and Lady Panthers begin district 21-4A action on Tuesday, February 12. The Lady Panthers will host the Livingston Lady Lions at Memorial Stadium with a 6 pm start, while the Panthers will travel to Livingston for 5 pm (JV) and 7 pm (V) matches. On this cold and rainy day, I thought I would share the warmth of some soccer goals with you. The following video is a compilation of some of the goals the Panthers have scored so far this season during the tournament portion of the year. The Panthers and Lady Panthers are on the road this Friday to take on Bob Hope (not the comedian) with 5 pm (girls) and 7 pm (boys) match times. Last night the Lady Panthers defeated the East Chambers Lady Bucs 2-1 to improve their record to 6-1-1. Goals by Jessica Hernandez (Sr.) and Abby Phillips (Jr.), along with a stifling defense lead by GK Chasydi Lynch proved too much for East Chambers. Although the Panthers were off last night, they did complete their third and final tournament of the season this last weekend as Hudson Varsity Tournament Division Champions, culminating with an 8-1 victory over the Waskom Wildcats. GK Jesus Landaverde (Sr.) and Midfielder Angel Ruiz (Fr.) were named to the All-Tournament team. The JV Panthers also concluded tournament season with a 3-0 victory over Dayton and a third straight Tournament Championship!! Led by freshmen Abdiel Garcia and Alberto Diaz, and anchored on defense by GK Jonathan Espinoza, the JV Panthers have an overall record of 6-1-1 and have only surrendered 4 goals all season. The Lady Panthers return home to open District 21-4A February 12 at 6 pm vs the Livingston Lady Lions. The Panthers are next at home on February 19, hosting Splendora at 5 pm (JV) and 7 pm (V). Good morning Panther Nation! Last night the Panthers traveled down to Mont Belvieu to face the 5A Barbers Hill Eagles in a non-district match. The Panthers found the back of the net twice to secure a 2-1 victory. The first half Jonathan Juarez (10th) score and the second half Jaime Lopez (10th) score would be enough as the Panthers played tight defense all evening and enjoyed possession for much of the game. GK Jesus Landaverde and CB Edgar Reyes led the defensive charge that turned the Eagles away for most of the game. Up next for the Panthers will be the Waskom Wildcats on Thursday at 3 pm in the Hudson Hornet Varsity Tourney. The Lady Panthers hosted the 6A Beaumont United Lady Timberwolves last night at Memorial Stadium and secured a 2-0 victory, with goals from Junior Abby Phillips and Sophomore Lali Garcia. Sophomore GK Chasydi Lynch recorded her fourth shutout as the Lady Panthers prevented the Lady Timberwolves from crossing the midfield line for most of the second half. The Lady Panthers opened the season with a 4-0 loss to Bridge City, but have been scintillating ever since, with 4 wins and 1 draw. Victories over Houston Scarborough (3-2), Brookshire-Royal (3-0) and Houston Sterling (2-0) along with a 0-0 draw with the 5A Lady Hornets of Huntsville bring the Lady Panthers to a 4-1-1 season record and best start in program history. Head Coach Jonathan Lopez will be leading the Lady Panthers back into action on Friday at Memorial Stadium when the Stafford Lady Spartans arrive for the 6 pm match. Good afternoon Panther Nation!! Another season of soccer has arrived in Liberty. The Panthers have been gifted with an influx of talented players this season, all fighting for a coveted varsity spot. Because of this, the Panthers have been involved with more tournaments than normal, going to a total of three. The Panthers traveled to the PNG tournament Jan. 3-5 and competed well, beating the Hardin-Jefferson Hawks 11-1 and coming up short against the East Chambers Bucs and the Lumberton Raiders. A trip to Diboll to take on the Lumberjacks ended in a 4-1 loss, while the second tournament of the season over in Huffman produced losses to Houston Scarborough and Stafford. With each match, the Panthers have improved and loads of opportunities for new faces to get valuable game time have been at hand. The Panthers, with a 1-5 season record, will face the Barbers Hill Eagles tomorrow at 6 pm at Eagle Stadium. The Junior Varsity Panthers have been on a tear so far this season with back to back tournament championships in the PNG and Hudson tournaments respectively. The JV Panthers have recorded wins over Bridge City (4-1), PNG (3-0), Lumberton (4-2), Tatum (3-1), Splendora (3-0) and a 2-2 draw with Hudson to remain undefeated on the year. GK Jonathan Espinoza has led a stellar defense, while Hector Lira (10th), Abdiel Garcia (9th) and Angel Ruiz (9th) have led the JV Panther scoring attacks. The JV Panthers will host Crosby tomorrow at 5 pm at Memorial Stadium. The varsity will travel to Hudson this Thursday and Saturday for the Hornet Varsity Invitational, while the JV Panthers will be playing in the 6th Annual Liberty JV Tournament to be held on Thursday and Saturday at Memorial Stadium. Matches on Thursday will begin at 8:30 am and run until about 6:30 pm. The matches will start at 8:30 am on Saturday and run until about 3:30 pm. On Saturday the Liberty Middle School Panther Players traveled to Tarkington for the District 21-4A One Act Play competition. Performing Ford Ainsworth's Farewell to Galatea, the Liberty Theater Program took second place, winning the District Runner-Up Trophy. 7th grader, Ben Jenkins, was named District 21-4A Outstanding Male Actor for his performance as Eros. This marks back to back Outstanding Male Actor awards for Liberty Middle School, with 9th grader Tucker Schilling taking the award last year. 8th graders Josiah Slack and Lily McNutt were named to the District 21-4A All-Star Cast, while 8th grader Tru Heifner was named to the Honorable Mention All-Star Cast. 7th grader Zak DeBerry took home an award for All-Star Tech Crew for his role with stage lighting. Rounding out the award winning show were fellow cast mates 8th graders Kera Grieve and Sofia Ortega. Back stage included 7th graders Emerson Rawlinson, Ashlyn Didway, Eduardo Mata and Grant Burgos, along with alternate Zach Hajovsky. It was truly a great day to be a Panther. Go Panthers!! The Liberty Panther and Lady Panther Varsity and Junior Varsity squads traveled to Huffman this evening for the 21-4A District Meet. The Junior Varsity squads for the Panthers and Lady Panthers each finished the season in 3rd place, while the Varsity Panther and Varsity Lady Panther teams each finished in 4th place. Freshman Angel Ruiz led the Panthers with a top 20 finish and Freshman Emalee Villarreal led the Lady Panthers with a top 25 finish. Go Panthers and see you next season!! The LMS Boys and Girls Cross Country teams traveled to Huffman for the District 21-4A Junior High Meet. The Lady Panthers took second place as a team, while the Panthers took third place. Reese Evans (2nd Place), Bailee Slack (4th place) and Julia Gerardo (6th place) all finished in the top 10, with Reese receiving a medal as a top 3 finisher. Carson Williams (7th place) led the Panthers with a top 10 finish for the boys. The Varsity and JV Panthers and Lady Panthers travel to Huffman this afternoon for the 21-4A District High School Meet. The first race is JV Girls (2 Mile) at 5:15, followed by JV Boys (5K), Varsity Girls (2 Mile) and then concluding with Varsity Boys (5K). Go Panthers!! 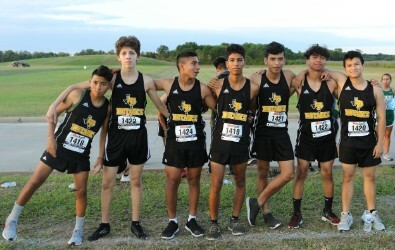 On Saturday, in the wind and the rain, the LHS and LMS Panther cross country teams traveled to Anahuac for the AP Meet. Despite the conditions, the Panthers racked up the awards. The Panther Varsity took 2nd place as a team behind a strong 8th place finish by freshman Angel Ruiz. Panther junior, Mario Lopez paced the JV with a first place individual performance that resulted in a first place team finish. 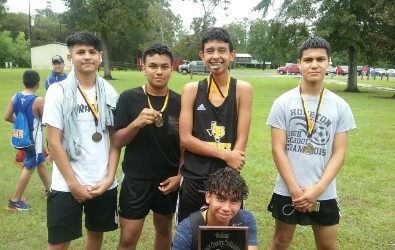 David Gerardo, Abdiel Garcia, Alejandro Montes and Emanuel Lopez also medaled for the JV team. Junior, Esmeralda Mares, led the Lady Panthers to a first place team finish. 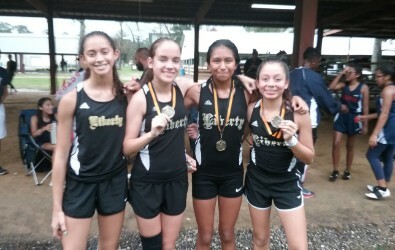 Tamia Banks, Kennedy Evans, Emalee Villarreal and Miryam Valencia had medal finishes for the varsity Lady Panthers. 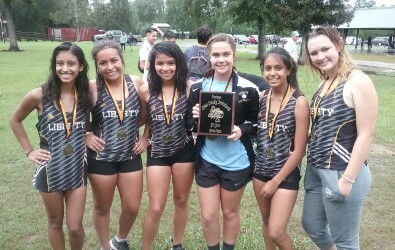 All six JV Lady Panthers had a medal finish and took first in their division as well. The JV Lady Panthers team consisted of Aliyah Banda, Lali Garcia, Ashlie Torres, Reagan Williamson, Marielena Rodriguez and Kaitlyn Frankum. The LMS boys team took first place with 4 individual medal finishes by Damian Guzman, Landon Curry, Trace Heifner and Bruno Aleman. The LMS Lady Panthers had another strong showing with medal finishes by Julia Gerardo, Julianne Shivers and Kaylee Hernandez. The Panthers are at home this coming Saturday, September 29th, for the annual Tony Munson Liberty Cross Country Invitational. The first race starts at 8 am at the Liberty City Municipal Park. Go Panthers!! On Saturday the Liberty Middle School cross country teams traveled to Dayton for the Bronco Invitational where the Lady Panthers placed first overall. Four of the seven lady Panthers finished with a medal, led by Reese Evans (3rd place) and Bailey Slack (4th place). Julianne Shivers (top 20) and Julia Gerardo (top 25) were the other medal winners. 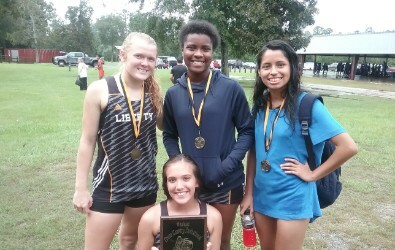 Kaylee Hernandez (top 35), Mariah Lopez and Alexis Smart also contributed to the first place finish. 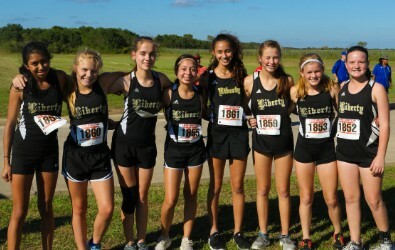 The Lady Panthers were in a field of 192 runners and 19 teams. 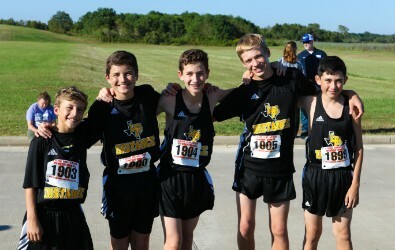 The LMS boys team also represented well. Damian Guzman (8th place) and Carson Williams (21st) had medal finishes. Landon Curry (top 35) and Bruno Aleman (top 60) rounded out the LMS boys team. The LMS boys were in a 163 runner field. Next week the cross country team will travel to Anahuac. Go Panthers!! The LMS girl’s cross country team competed in the cardinal classic this past Saturday. They had an impressive meet, and came away winning first place as a team. Individual medalists were: 1st Bailee Slack, 2nd Reese Evans, 4th Julianne Shivers, 7th Julia Gerardo and 9th Kamdyn Chandler. The next meet will be in Dayton on September 15th. 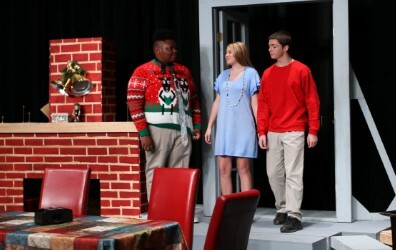 Last night the LHS Panther Players performed for a packed house at the Liberty High School Black Box Theater. 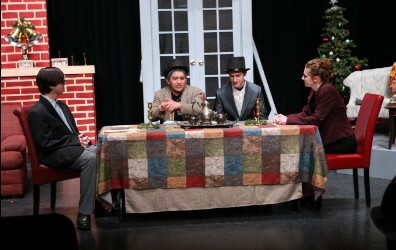 The Production Class performed The Lake Darby Monster by Earl J. Dias and the Intro Class performed Christmas Recaptured by Mildred Hark and Noel McQueen. Both shows were student directed, the former by Aliyah Banda and the latter by Emily Thibodeaux. Making their stage debuts last night were Nick Maxey, Marlei Dickerson, Dyllan Minix, Arianna Bartell, Caitlyn Coleman, Abigail Turner, Blake Mattox, and Angela Tompkins. The Production class will now begin One Act Play show prep as they head into the spring semester with Dinny and the Witches by William Gibson. Their OAP will be on Thursday, March 21 in Huffman at Hargrave Middle School.